As the holiday of Passover quickly approaches, one of the important aspects of the holiday is to fulfill the biblical commandment of giving charity so that the poorer among the nation of Israel may have enough means to purchase all of the food they need for the holiday. The Bible commands the Jewish nation to eat unleavened bread, or matzah, for seven days. 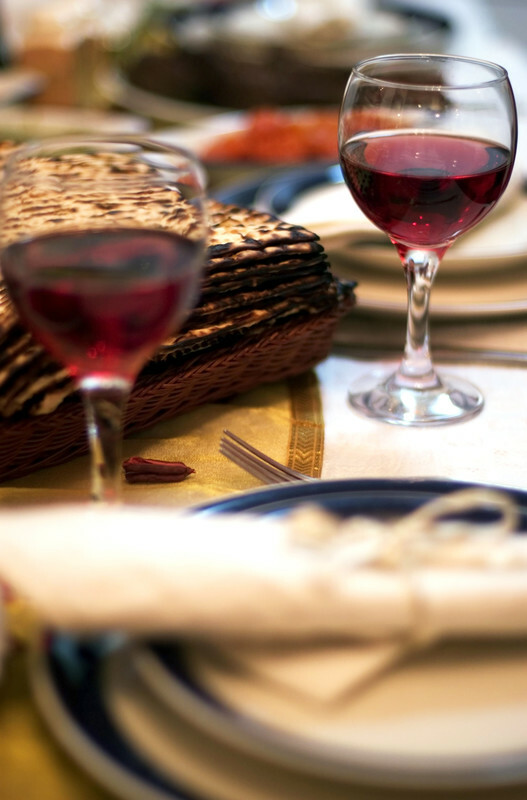 As the price of matzot (plural of matzah) as well as wine and other staples for the holiday can be very costly, each person, no matter how rich or poor, is commanded to partake of the seder night and feast. The custom accepted by most homes in Israel and abroad is to eat handmade, specially watched matzot for the seder night and use the cheaper, machine made matzot for the remainder of the holiday. The special matzot can run over 180 NIS (about $50) per package and are the most expensive single item needed for the holiday. Where as one can often save money or find sales on wine and other food items needed, matzot are rarely sold at a discount, as matzah manufacturers wait all year to prepare the matzot for Passover and their income depends upon it. This economic convalescence of needs can cause the poorer members of the Jewish nation to have severe difficulty celebrating the holiday with joy when they need to shell out so much hard cash to do so. In comes Karmey Chesed to save the day once again. This year, as in years past, Karmey Chesed has put together a special team, headed by Shmuel Green and his family, who have given out hundreds of kilograms of matzot purchased from the Matzot Halperin factory to needy families across Israel. Karmey Chesed's team is tasked with the challenge of determining which family needs how many matzot, how many kilograms processed by hand for the seder, and how many for the remainder of the week. The organization strives to give each family a bit more than needed so as to ensure that everyone has enough. According to Aryeh Weingarten, founder of Karmey Chesed, "Each person needs approximately one kilogram of Matzah for the festival," he told Breaking Israel News. "We try to give as many families as possible, so we need to be diligent and accurate." Purchasing the amount of matzah needed to fill requests can also be daunting. Thankfully, Matzot Halperin is giving Karmey Chesed a bit of an overall discount for their bulk purchase. However, the price remains astronomical. When asked about helping the families in need with other food items required for the holiday such as wine, Weingarten told Breaking Israel News, "In addition to matzot, we give money to the families who are in need so that they can go out and purchase the rest of the food and wine for the holiday." "We give money instead of actual food products as we have found in the past that often the food products that organizations give aren't what the family needs, so we give them money so that they can buy exactly what they need," he said. For years, Karmey Chesed has been helping out families in need all across Israel. Whether these families are families of IDF soldiers who come from low income families, victims of terror, victims of the withdrawal from Gaza or simply families that have fallen on hard times, Karmey Chesed is there to help them out. Each year at the Passover seder, Jews around the world announce: "Any who are hungry, may they come and eat." For Karmey Chesed, the hungry may come and eat all year round.